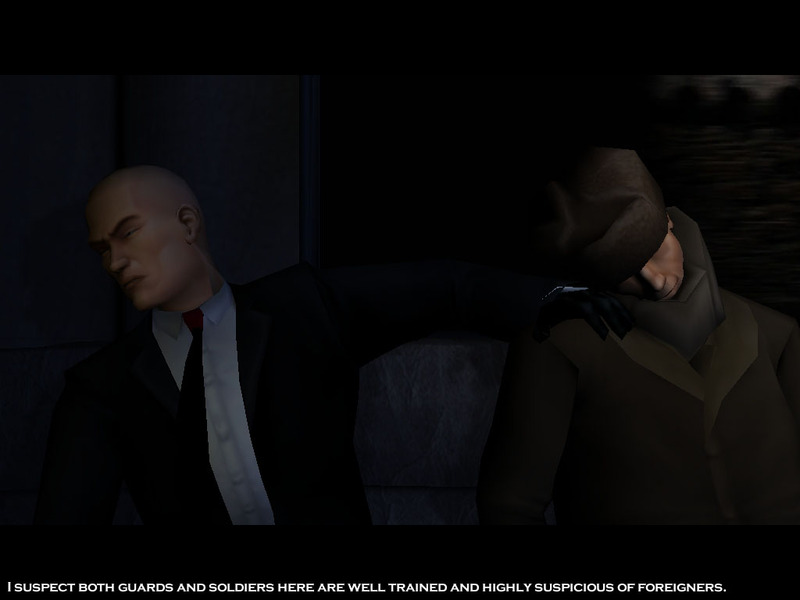 Hitman 2: Silent assassin is the sequel to 2000’s Hitman: Codename47, an action game that had some great ideas incorporated in it, but was heavily harmed by its awkward camera system, and sluggish controls. The follow up fixes all of those issues, and the outcome is a highly enjoyable action game, in which every mission has multiple paths to solution. The game starts with 47 retiring from his gritty work, and trying to live a peaceful life in a small monastery in Italy. But just as 47 thought that his life has turned for the better, the monastery’s priest, 47’s friend, is kidnapped by mob gangsters, that want 47 as a henchman. And that’s where 47’s quest for bringing good ol’ padre back begins. The first thing that you would notice when you would start the game are its incredible visuals. 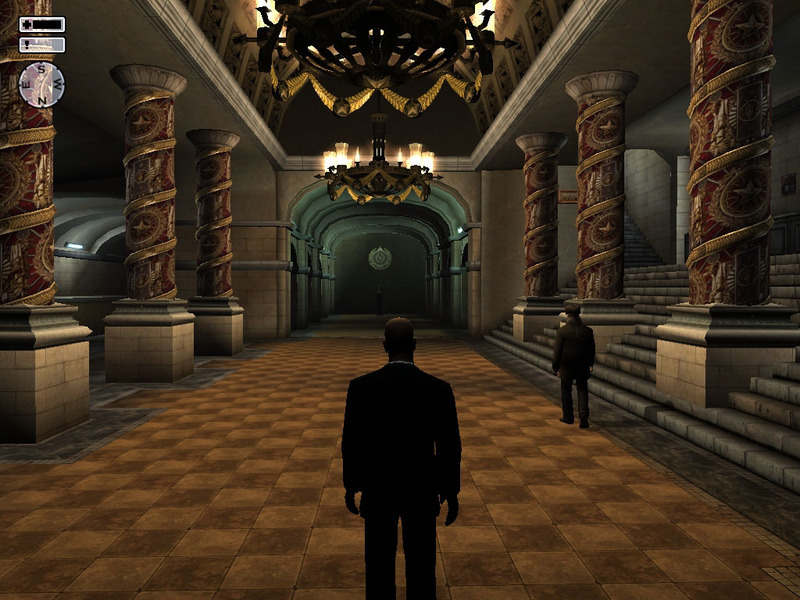 The game draws some wonderful architecture, starting with the beautiful monastery in which 47 lives, and continuing with locales like Moscow’s metro system, a mansion in Italy, and a big Japanese castle. Although some outdoor textures may get repetitive, the overall effect is stunning. Weather effects, like rain and snow, surely don’t harm the experience. The models have been bumped up quite a bit in the sequel as well. They are pretty well textured, and have a nice variety of facial expressions and idle animations. The game also incorporates the now famous "rag doll physics", which make dead bodies look realistic when they are dragged. In most of the instances, the effect is great; you shoot at a guy that sits in a chair, and he will continue sitting on it, his body twisted backwards. If you shoot him from the side, he will fall of the chair. Yet on some occasions, the outcome is awkward; a body’s hand will be left hanging in the air, or an ankle twists in a weird angle. But overall, the effect is quite nice. The sound in H2:SA is well done. The voice acting, although somehow inconsistent in its quality, is still much better than in the first game. The sound team has had some great weapon effects recorded for the sequel, and each of the weapons sounds unique. The muffled sound of the silenced 45 SD shot, and the hollow thump that you will hear as the bullet will hit the unsuspecting guard, will make you evilly grin. The musical score, performed by the Budapest Orchestra, is very moody, and adds to the overall gritty effect of the game. The gameplay is probably the one thing that has received the most tweaks in the two years that had followed the release of the original game. The menu system is much, much more accessible now, and different actions (dragging a body/taking the body’s clothes/taking the ammo, etc) can be pulled quickly by simply tapping the Action key, and the up or down keys. A welcome change from the awkward system of the original. The game also adds a nifty "look through the key hole" feature, which lets you check the inside of the room you’re about to enter, by peeking through the key hole, although you might wanna be cautious about it, since it draws a lot of attention from near by guards. The enemy’s AI is far better now. No longer can you disguise yourself by taking the clothes from a killed/stunned guard, and walk through groups of guards unnoticed. The guards will get alerted by unnatural events, such as running, or gun pulling, or just you being in a place where you’re not supposed to be, even if you’re disguised. You must keep a distance from guards, or act casually enough, so that they won’t suspect you. An alert meter marks the guard’s alert level, similar to the noise meter that appeared in the Thief series. When a guard sees you acting suspiciously, the meter will start flashing. When it gets to red, shots start to be fired. It’s that simple. Each mission can generally be completed in a multiple number of ways; I saw at least 3 different ways to complete the hit in the first one, and perhaps there are even more. 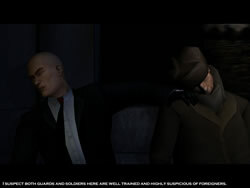 While the game emphasizes stealth, the Normal difficulty can be completed by brute force as well. After each mission, the game provides you with statistics, which show how brutal/silent you were during the mission. The game also awards you with a title, starting with "Silent assassin" (if you manage to complete the entire mission, with only your target killed, and no one else harmed), and up to "Mass murderer" (pure carnage), all depends on the amount of havoc that you wreck. While the game is still played from a 3rd person perspective, you can switch to a first person view, which is very useful in gunfights. The camera has been vastly improved, and I haven’t experienced a "stuck in a corner" occasion with the camera yet. The camera can be zoomed in and out by using the mouse wheel keys, which can be helpful if you want to get a higher range of view of your surroundings. The last big feature that was added to H2:SA is the in game save system, a welcome feature, considering the fact that some missions are quite long. Depending on the difficulty setting, the game lets you save your game a limited number of times; 7 in the Normal setting, 2 in the Hard setting, and the good old 0 that plagued the original game, in the Expert setting. The ratings that you are given in the end of each mission change according to the number of saves that you have used, so using up all of the 7 will lower your ratings. 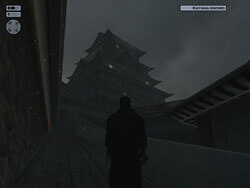 The difficulty settings also change the way that the game’s map works; in the normal setting, the map also works as a radar, showing you the location of the enemies around you. The Hard and Expert mode remove that feature, making the game much more challenging. 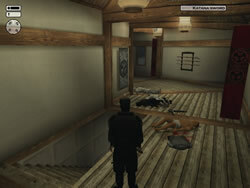 All of the good things from the original’s gameplay are still there; you get to kill your enemies in a vast number of ways, starting with the good old shot in the back of the head, cutting his throat with a kitchen knife, slicing him up with a katana sword, and the all time favourite: strangulation by a piano cord, which looks a specially nice thanks to H2:SA’s great animation system. Surprisingly, the game also provides you with a non-violent way of getting rid of your enemies, in the form of an anesthetic, or a stunning hit to the back of the head with your pistol. After killing/stunning the enemy, you can take their clothes and disguise yourself, and pick up stuff they had in their inventory. All in all, H2:SA is a great game. While fixing virtually all of the bugs and gameplay issues from the first game, it also provides a highly enjoyable, although a bit of short campaign, that has a high replay value, since you’ll always want to look for other ways to complete the tasks in each mission. Definitely a must have for fans of the original, and a good recommendation for action games / stealth games player.